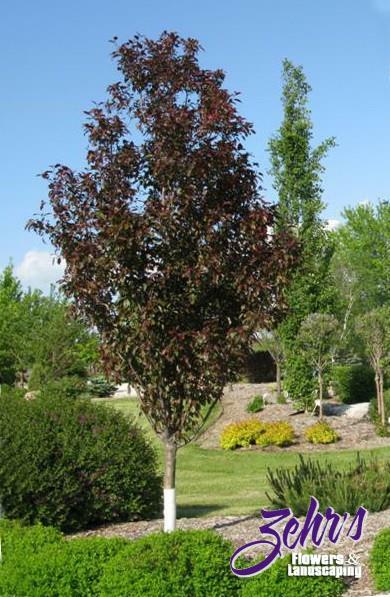 Gladiator™ is an excellent ornamental tree with a profusion of bright pink flowers followed by small reddish-purple fruit on a stately, upright crown. Glossy bronze-purple leaves look lush all growing season long. Ideal ornamental tree for space-challenged sites including under power lines, as a small, boulevard tree or planted in a row for a screen. High disease resistance. Open pollinated seedling selection of Royalty.